User can select which input type to use on the osPID through the frontend. 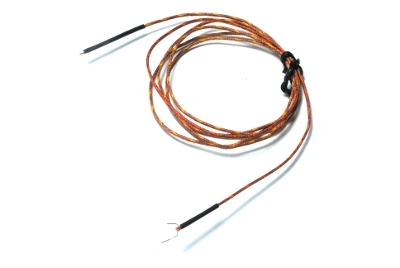 Besides the thermistor, you’ll need a matching resistor with a value equivalent to the thermistor’s resistance at a rated temperature (usually 25 °C). This resistor also needs to have an accuracy at least of that thermistor. 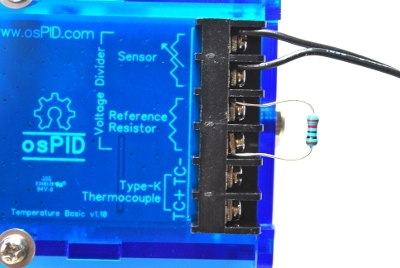 The thermistor sensor leads does not have any polarity and is inserted at the top two terminal spots (labelled as sensor) of the temperature basic input card. 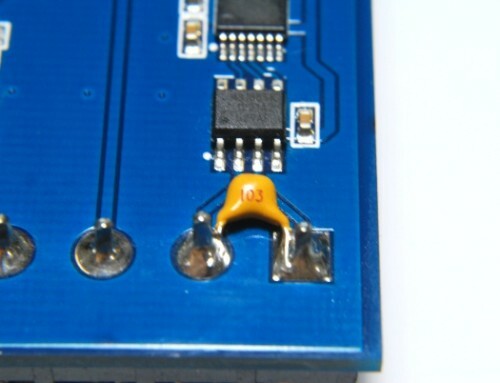 The resistor is inserted into the next two terminal spots (labelled as reference resistor) of the temperature basic input card. It is recommended to trim short the resistor leads as short as possible. 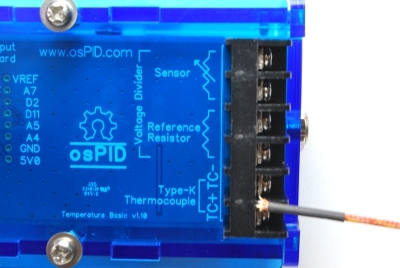 The osPID unit is shipped with a default firmware using the thermocouple as the input sensor. 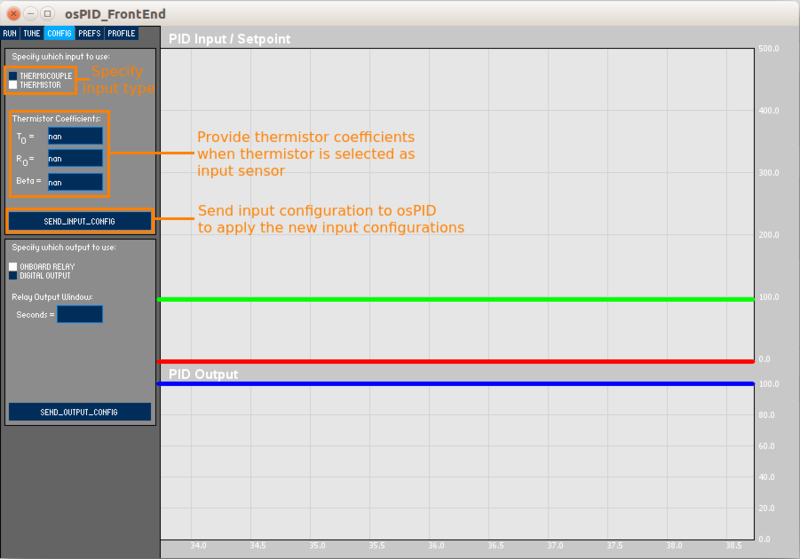 You can reconfigure the osPID unit to use the thermistor as the input sensor through the osPID front end software. 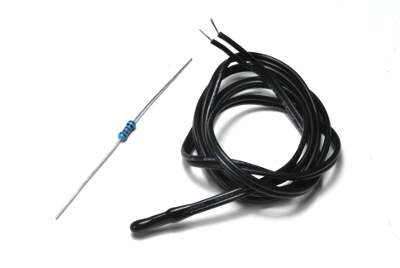 You will also need to key in the rated resistance of thermistor sensor and it’s beta temperature coefficient. 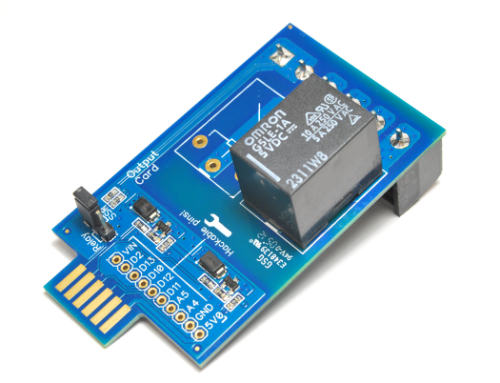 The temperature basic input card has an input port for thermocouple type K sensor and temperature measurement range between -270 °C to +1372 °C (on revision v1.20 and above). Please ensure that you are using the correct thermocouple type as the wrong thermocouple type will yield unexpected and wrong temperature reading. 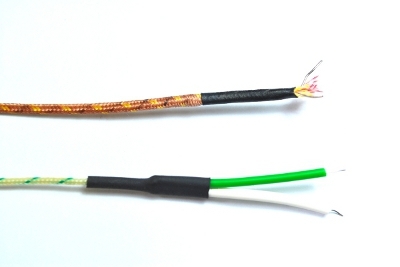 Thermocouple leads has polarity and this is indicated by the color of the insulation jacket which can be based on US & Canada standard (yellow & red) or international standard (green & white). Yellow and green indicates the positive lead (Nickel – Chromium). Red and white indicates the negative lead (Nickel – Aluminium). If you getting negative going temperature while heat is being applied (and vice versa), your thermocouple wiring polarity should be incorrect. Insert the negative lead (red or white) to the terminal labelled as TC- and the positive lead to terminal labelled as TC+. 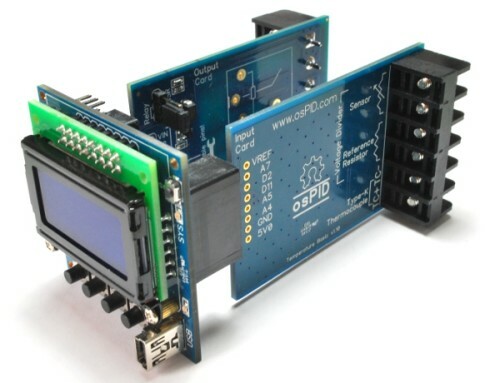 If prior to the use of thermocouple sensor on the osPID unit, you have selected the thermistor as the input sensor, you’ll need to reconfigure the osPID unit to use the thermocouple as the input sensor from the frontend software.